“We got the phone call late one Friday afternoon! One of our manufacturing customers was slashing their quarterly and yearly orders due to a slowdown in their business. The global business manager was on the hot seat! The demand planning processes were not geared to calculate the impact of this hit quickly. Executives wanted the answers NOW! Whether you are in the Make-to-Stock (MTS) or Make-to-Order (MTO) business, lacking visibility of your supply chain is a high-risk adventure. This situation did happen to one of our clients. They have a mixed business model; finished goods are MTO with lower-level stockables i.e. Make-to-Stock. They manufacture large equipment that takes up a lot of floor space and consumes costly resources with long lead-times. The outside of the equipment may look alike, but the guts of the machine can be dramatically different. The business case was evident – monthly updates to the forecast and plans would not cut it! Too many things can happen in three weeks, and too much money was at risk. The decision was to proceed with SAP Integrated Business Planning (IBP). IBP is SAP’s cloud solution that replaces SAP APO, the on-premise supply chain optimizer solution. Collaborate and communicate the requirements to our factories, suppliers, and logistics partners. The current planning process is common in this industry; planners gather the Sales Forecast from multiple sources. The spreadsheets are updated monthly because it takes the planners so much time to gather, consolidate, and gain approval from the various stakeholders. The evaluation took about three months. The implementation and adoption will take about six months. This is the time to design, build, integrate, and stabilize the current processes on IBP. For a complex, multi-site supplier network, this duration is advantageous. Performing weekly changes to the forecast which allow us to communicate these changes to our partners. Getting our various user groups and partners synchronized is a major benefit of this initiative. This aspect alone justifies the investment. From a technology perspective, using SAP HCI, HANA Cloud Integrator, simplifies connecting IBP to upstream and downstream systems. Pulling data from multiple systems such as ECC does not require the setup and maintenance experienced with APO. Pushing the results to our downstream factories and partners is also part of the HCI integration. Our planners and partners can get on the same page with the priorities of the plan. This helps to reduce our working capital through increased inventory turns, reduced stockables, and resource scheduling. The planners are accustomed to working with Excel. The Excel interface reduces our training time and increases the interaction and participation of the planners with the stakeholders. Additionally, the DIY nature of the tool and the planning processes will encourage our subject matter experts, the planners in most cases, to contribute improvements in the planning process. An impressive component that executives and planners appreciated is the web interface and dashboard. Our operations team interprets and responds effectively to the data visualization triggers in the dashboard. The dashboard presents the plan, impact, and exceptions in a visually appealing and intuitive manner. We keep reviewing the App store for updates and new ideas. SAP publishes, through the App store, frequent updates to the interface. The App store is also an excellent source for continuous improvement and insights that users and partners are sharing. Forecasting hours are spent on planning and collaborating, not updating spreadsheets. So, when the phone rings on a Friday afternoon; no one panics. 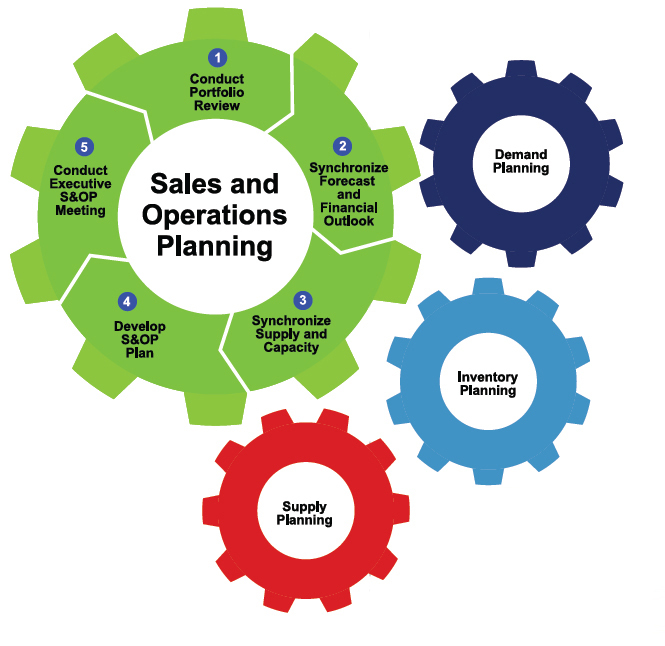 The IBP S&OP and Demand Planning system will provide the answers for executives, planners, and partners. Are you interested in learning more about SAP IBP, APO or Supply Chain? Our Advisory Services Consultants have the business process and technology experience to streamline your Supply Chain. Contact Kent Lamb, kent@titanconsulting.net, 214.632.5621; or, contact your Titan Consulting Director. You can see additional information on our Advisory Services page at www.titanconsulting.net.